Geraint Thomas (Sky) has moved into the overall lead at Paris-Nice after finishing second on the fourth stage to Dutchman Tom Jelte Slagter (Garmin-Sharp). 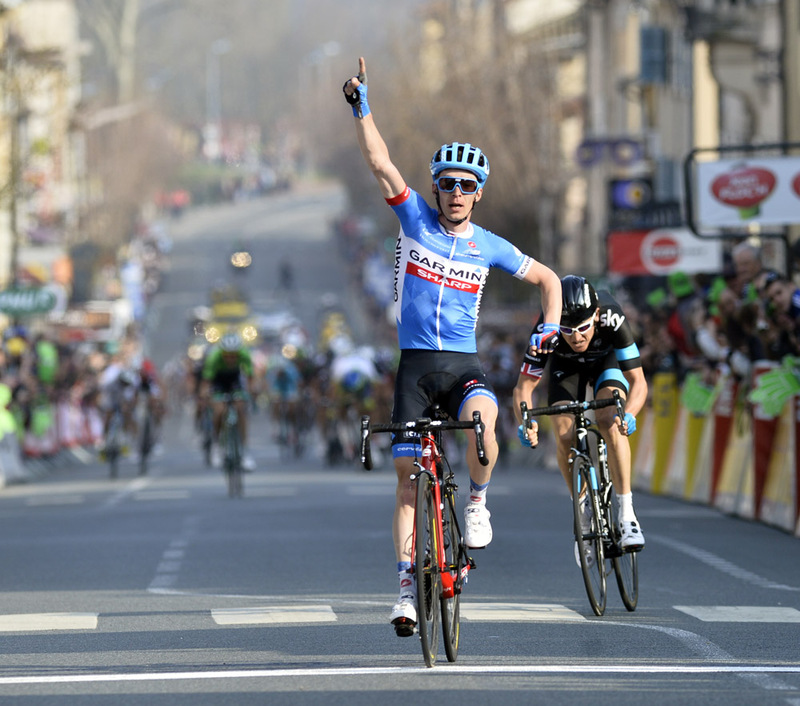 The Welshman countered a move from Slagter on the short but steep final climb of the Cote du Mont Brouilly with 13km to race, and the pair held off the fast finishing remnants of the peloton by five seconds on the line in Belleville. Slagter pipped Thomas to the line, but it is the Sky rider who now leads the classification by three seconds from previous yellow jersey holder John Degenkolb (Giant-Shimano). Thomas took over last minute leadership duties at Paris-Nice after defending champion Richie Porte swapped to race Tirreno-Adriatico following the late withdrawal of Chris Froome. 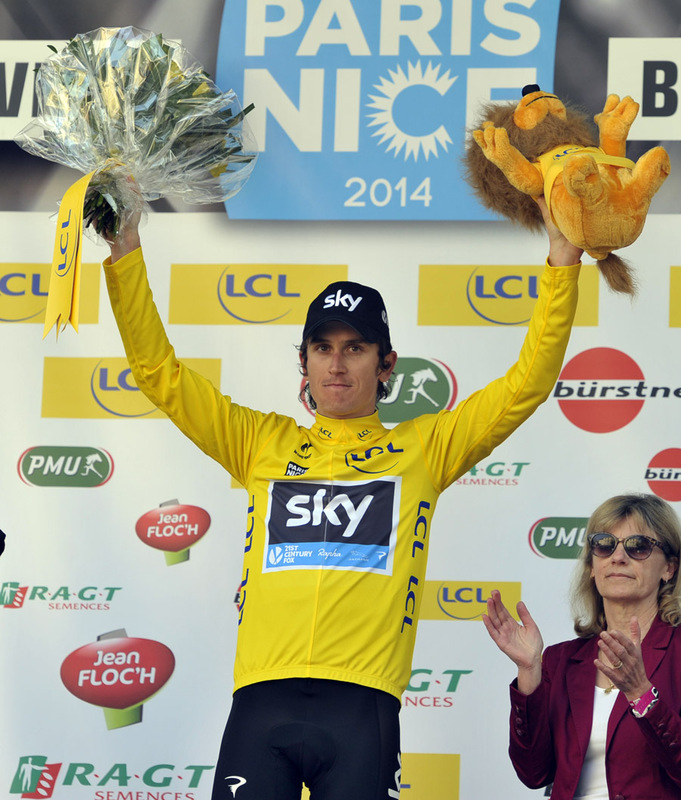 Thomas now has four more tough climbing stages to negotiate before the eight day race concludes this Sunday in Nice. 2. Geraint Thomas (GBr) Team Sky at s.t. 10. Samuel Dumoulin (Fra) Ag2r-La Mondiale all at s.t. 10. Arnold Jeannesson (Fra) FDJ.fr all at s.t.